After receiving private donations and sizable funding from the United States Embassy in Moscow’s Public Relations desk, the Yale Russian Chorus (YRC) will once again tour Russia this coming summer, for the first time since 1994 (YRC alumni choir performed there in 2004). 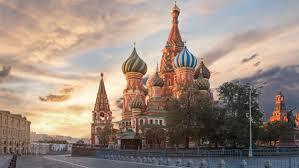 The American Embassy in Moscow’s Public Affairs department seeks to foster Russo-American relations and views a YRC’s tour in Russia favorably with the hope that the group’s presence may help improve Russian societal views of America and Americans. According to members of the YRC, there was doubt as to whether the chorus would obtain the funds, since the chorus sings primarily in Russian, and thus does not inherently bring American culture to Russia. The chorus, founded in 1953, and its alumni have performed in the former USSR, throughout Europe, and North America, singing many liturgical and popular songs originating in the USSR/Russian Federation and its surrounding cultures. Despite this uncertainty,the chorus quickly realized that another tour to Russia would become a reality. In merely three days, the embassy reviewed the YRC’s appeal and granted them an award. With highly politically charged Russo-American relations, Stepan Sveshnikov carefully curates the YRC’s touring repertoire to promote understanding, and is careful to ensure the selections do not articulate inadvertent stances on provocative issues. Sveshnikov maintains that “every song has significance,” and intends to especially highlight American music written by Russian White émigrés in American, emigrants who left Russia after the Russian revolution and the regime change that followed. The music of these White émigré composers is significant to the YRC since the music is of mutual significance to both America and Russia, as well as because America’s reception of Russian White émigrés highlights American acceptance of refugees in the past. Among the varied venues in which the group will perform, the YRC’s performance in the Patriarchal Festival of Music of the Christian World, an annual international festival around Orthodox Easter held by the Russian Ministry of Culture, holds especially high renown. Here, along with some of its usual repertoire, the YRC will also sing American Spirituals to introduce its audience to the American musical tradition. It is with a degree of irony that the YRC sings as part of a religious festival sponsored by the Russian government. On the YRC’s past tours in, the Soviet government was officially atheist and did not support the YRC’s inclusion of religious repertoire that mentioned God or deities. Now, some 20 years after the Fall of the Iron Curtain, the YRC will sing liturgy on a Russian Ministry of Culture-sponsored grand stage. While much in the world changes rapidly, the need for cross-cultural dialogue and mutual understanding still especially remains for Russo-American relations.